I can’t tell you how much of my life has been wasted staring at boot up screens. I’m sure most smartphone owners are in the same boat. But those who upgrade to the new OnePlus One will hardly ever have to endure that painful wait again. The $299 flagship has an insanely speedy boot-up time. 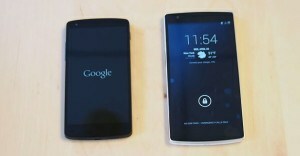 The post Check out the OnePlus One’s insanely speedy boot-up time appeared first on Cult of Android.